Dark Mofo winter festival that has people come from all around the country brought the night to life last weekend in Hobart. It’s the Festival’s fifth year and the celebration of ancient and contemporary mythologies of death, birth, fear, light and fire on the darkest days of the year. This year the festival has expanded to include seven nights of delicious Tasmanian produce, entertainment and unexpected but always delightful drama. There is something quite special and magic about the ephemeral nature of a festival. It comes quickly, seemingly out of nowhere, and is experienced for a brief moment before going back whence it came, into a kind of stillness and quiet. Organised by Mona, the Museum of Old and New Art the event has simply grown bigger and more impressive each year and continues to attract a huge following both interstate and internationally. The music of the festival once again took centre stage with an incredible line-up of artists from the unknown to the esoteric to the popular to the controversial. Art installations made of fire light noise and silence adorned ‘Dark Park’ at Macquarie Point. Collaborative rituals, burnings and performances designed to draw you in, get you involved and create powerful spectacles to challenge your perception were some of the most memorable experiences. 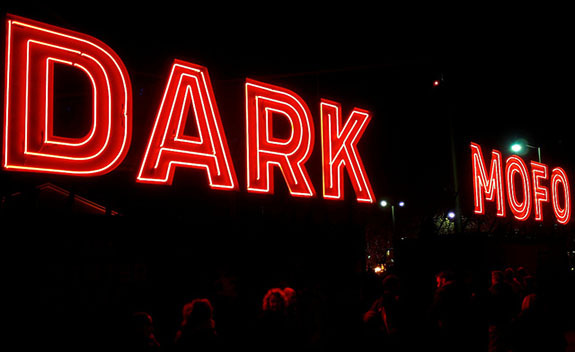 however, like all art it seems Dark Mofo is a subjective experience. As the parties die down and everyone discusses their experiences it’s clear that Dark Mofo is many, many things and that it’s up to the individual to curate their experience, partly because there’s simply so much to do. Hobart came alive last weekend, and if you missed out you’ll want to make sure you get ready for next year!